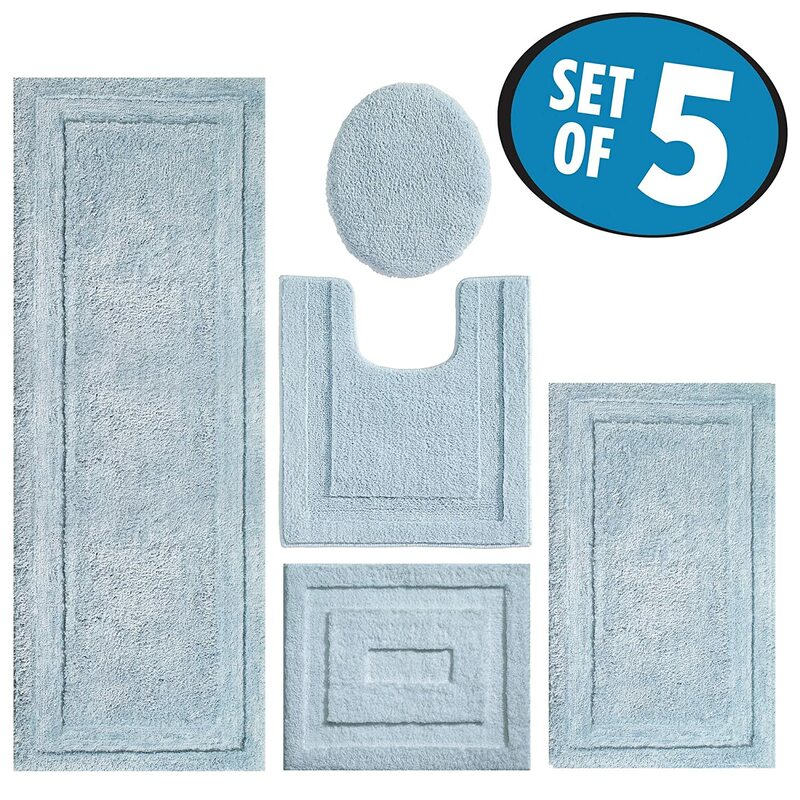 [Unique Design]: Your search is over for the best bath rug on the market! 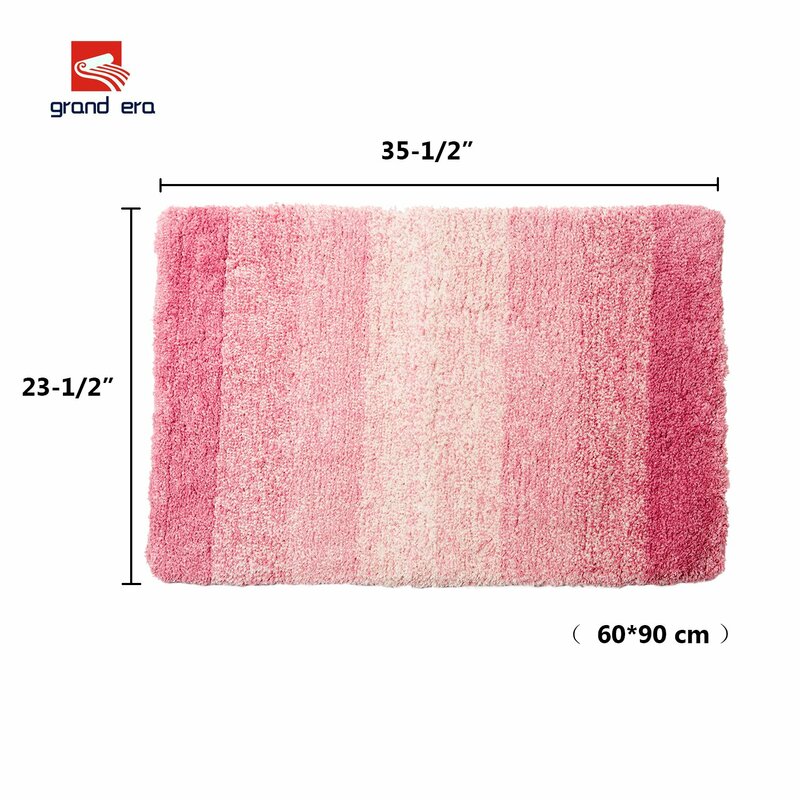 This bath rug will be fascinating in your bathroom with its unique design of color gradient. 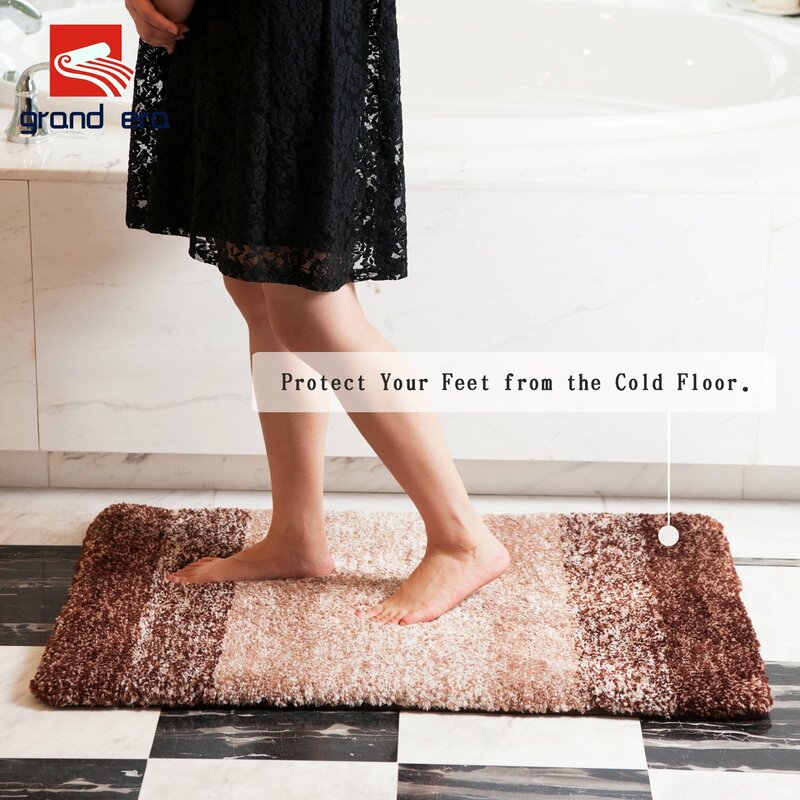 Our bath mat features a luxurious, soft pile that soothes tired feet and shields toes from the cold floor. 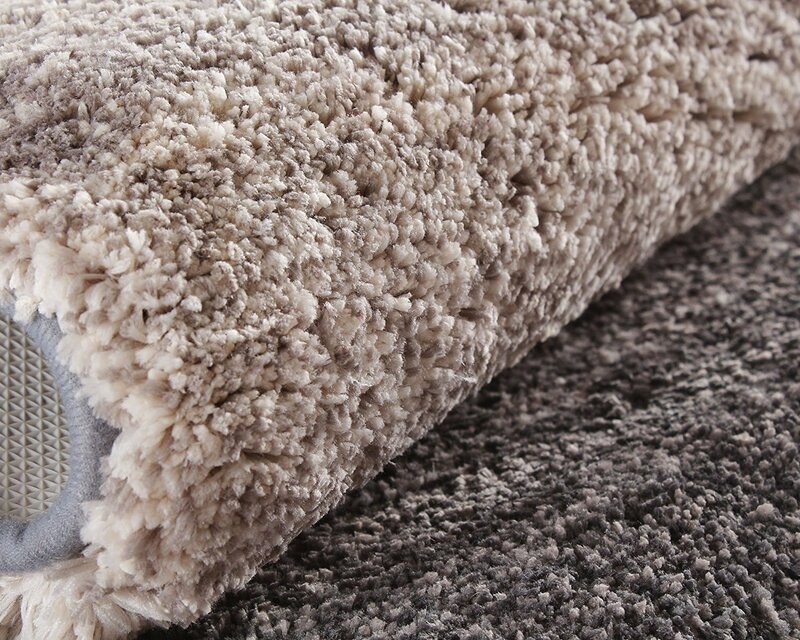 The density and plushness of our pile surpasses that of most other brands. 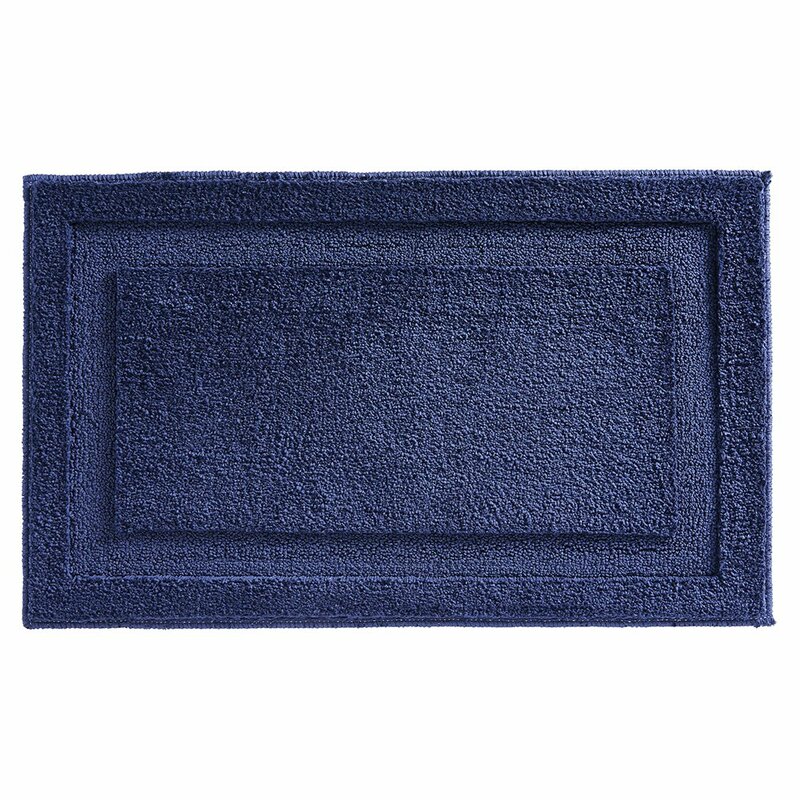 [Excellent Water Absorbency]: The fabric microfiber bathroom rug is designed to quickly absorb water, keeping your bathroom floors dry and clean. 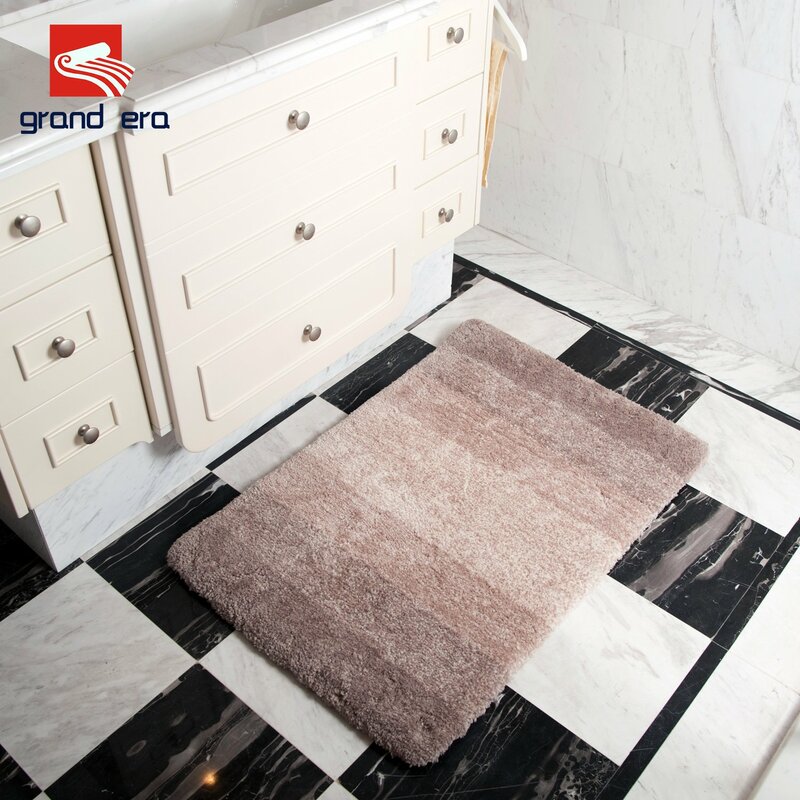 Product quality is our priority, No more wet mat on the bathroom floor, Also It has unique fiber-locking technique and neatly wrapped sides, not easy to get hair loss or off line. 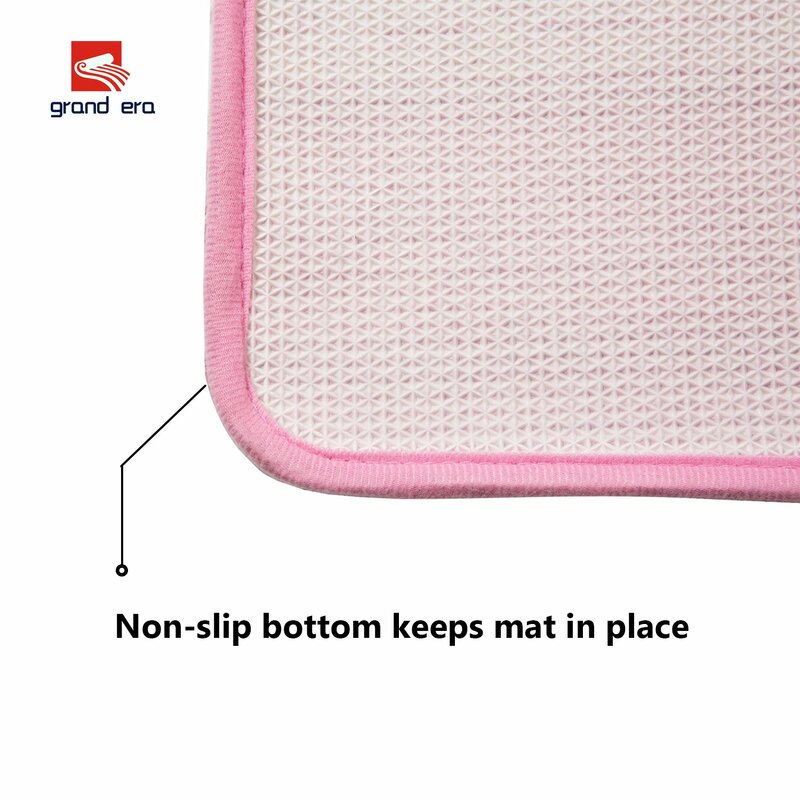 [NON SLIP BOTTOM]: Non-slip bottom is made of high quality TPR material. 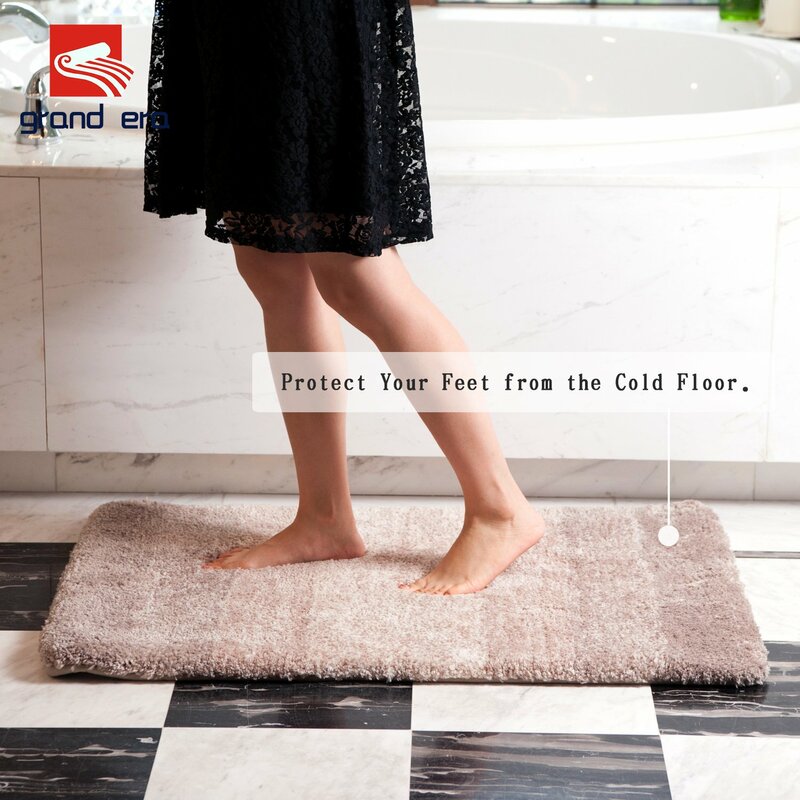 This anti-skid backing has practically slip resistance on the floor surface, that it won’t slip or slide to keep you more safe and cozy. 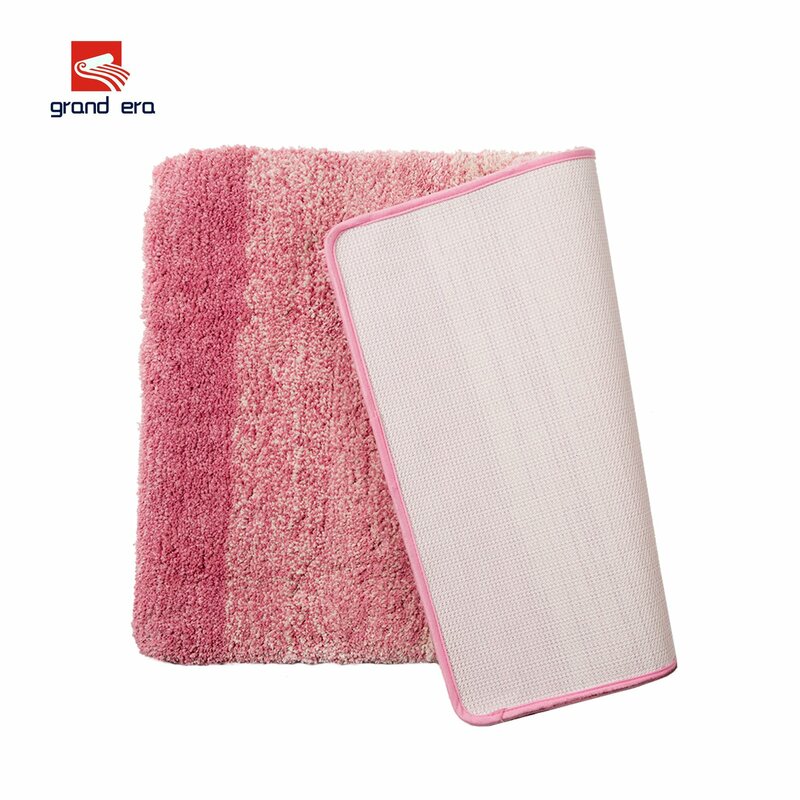 [Machine Washable]: Simply toss the whole mat into the washing machine, wash cold, hang to dry or air dry flat. NOTE: Please do NOT use the dryer or put it in Hot water. 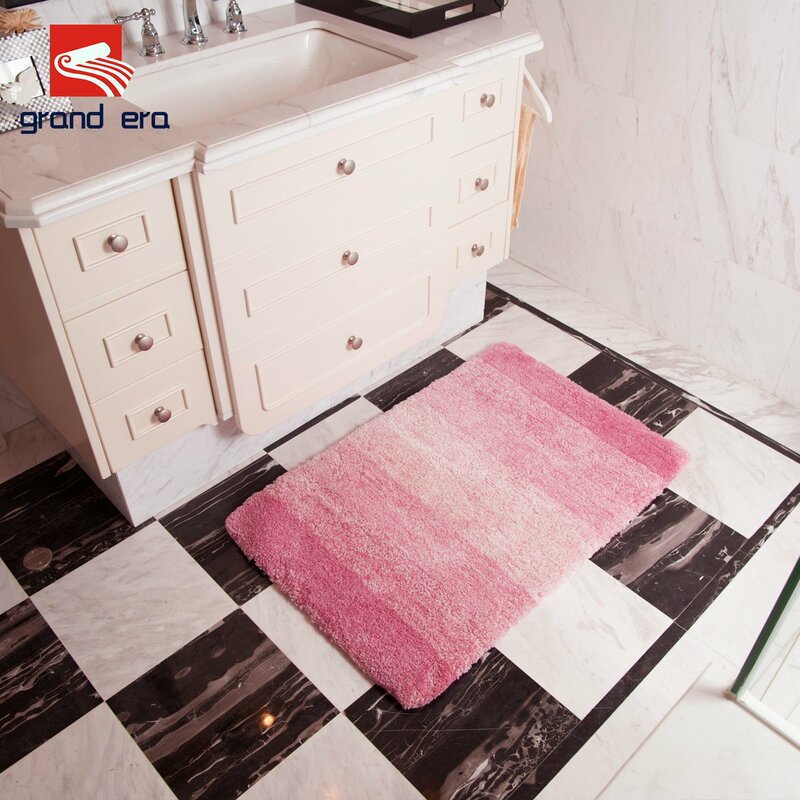 Regular vacuuming helps rugs remain attractive and serviceable.Color will not fade. 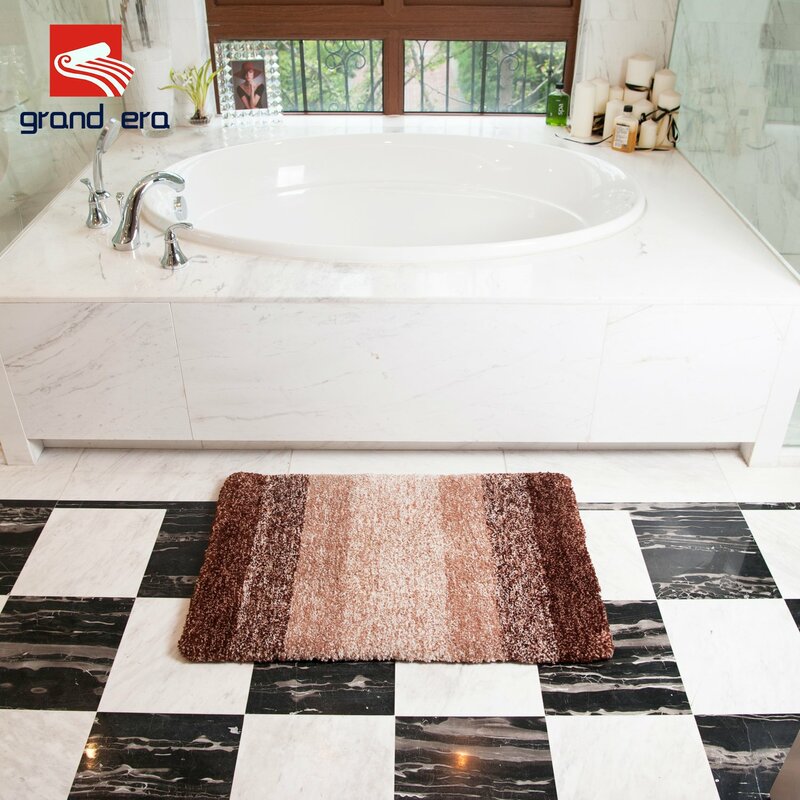 Color will stay nice and vibrant for years to come. 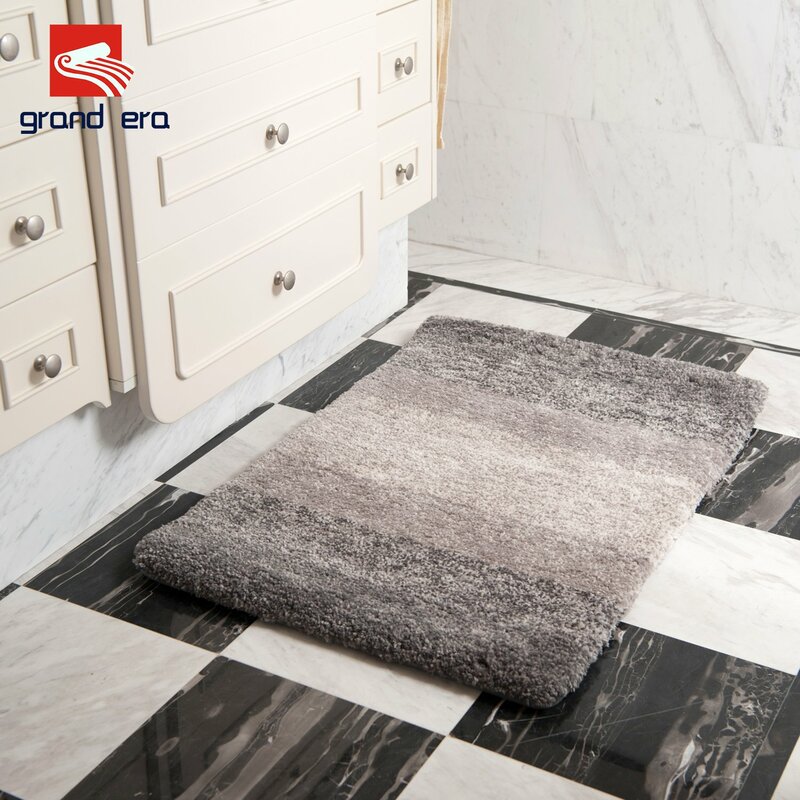 All the mats are sold with certain discount for the first two months. Makes a great Christmas, birthday or Father's Day gift! 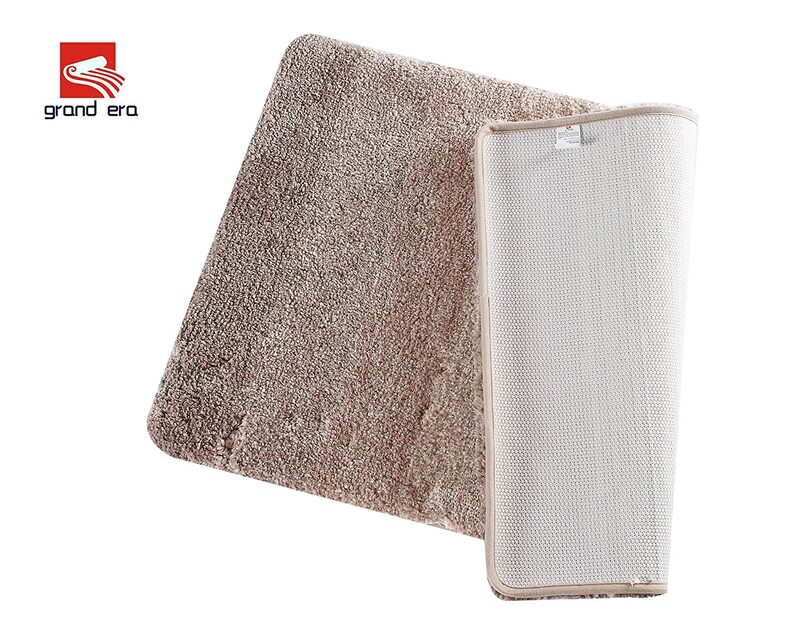 has been strictly tested before leaving the factory. 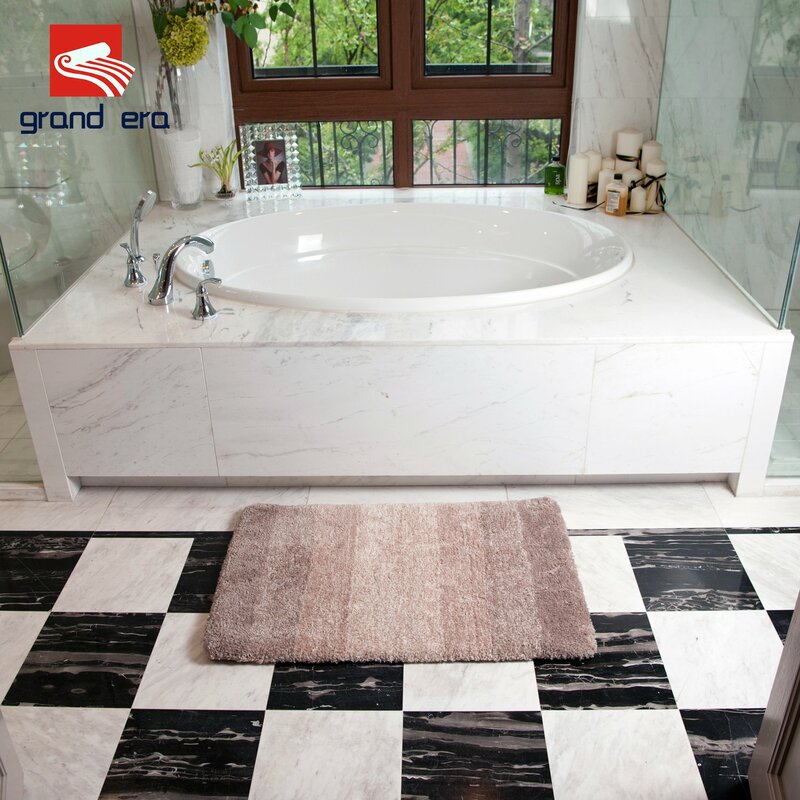 Because of the focus, we strive for excellence! 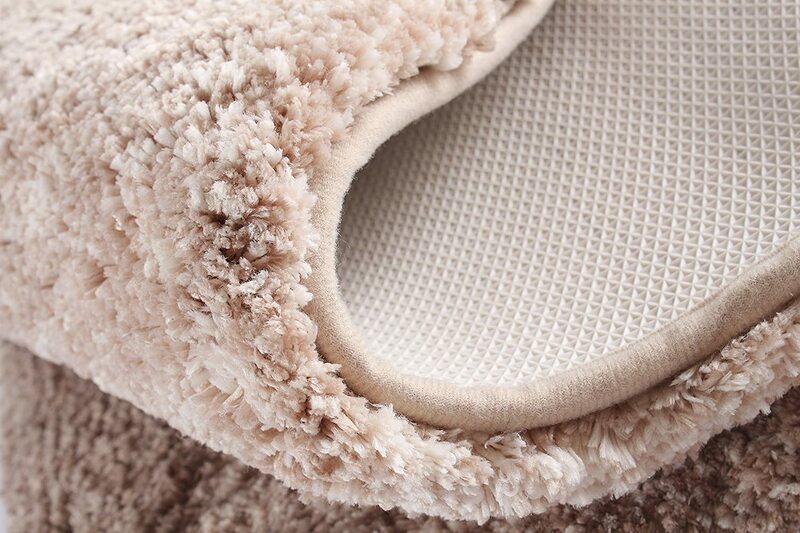 it's really thick and soft, keep your foot warm. And the good thing is it dry so quickly. 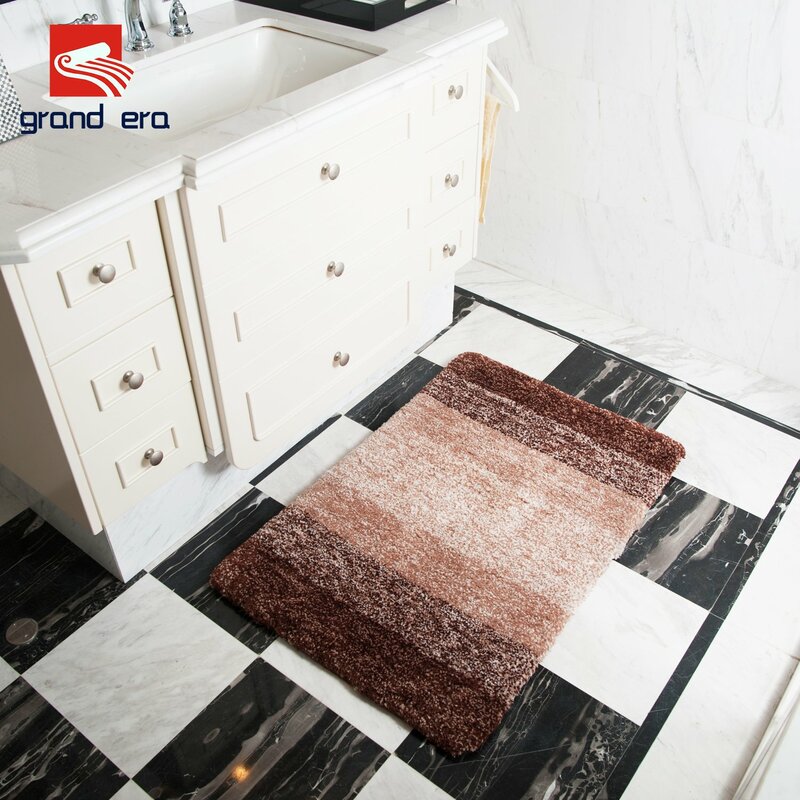 The Grand Era Water Absorbent Non-slip Antibacterial Soft Microfiber Rubber Mat I received was attractive and extremely plush. 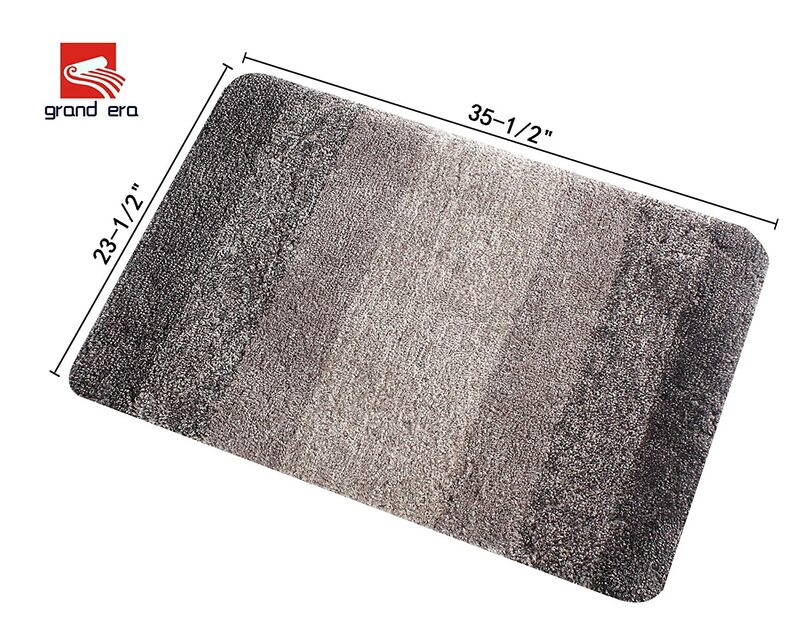 In fact, it was so thick, that it would not fit under my bathroom door, so I had to order a flatter rug. Usually, thick is good, but in this case, it was not compatible with my door. Another thing I noticed just getting it out of the bag and trying it out, it lost several fibers/threads. That makes me wonder how well it would hold up in general, and especially when washed. 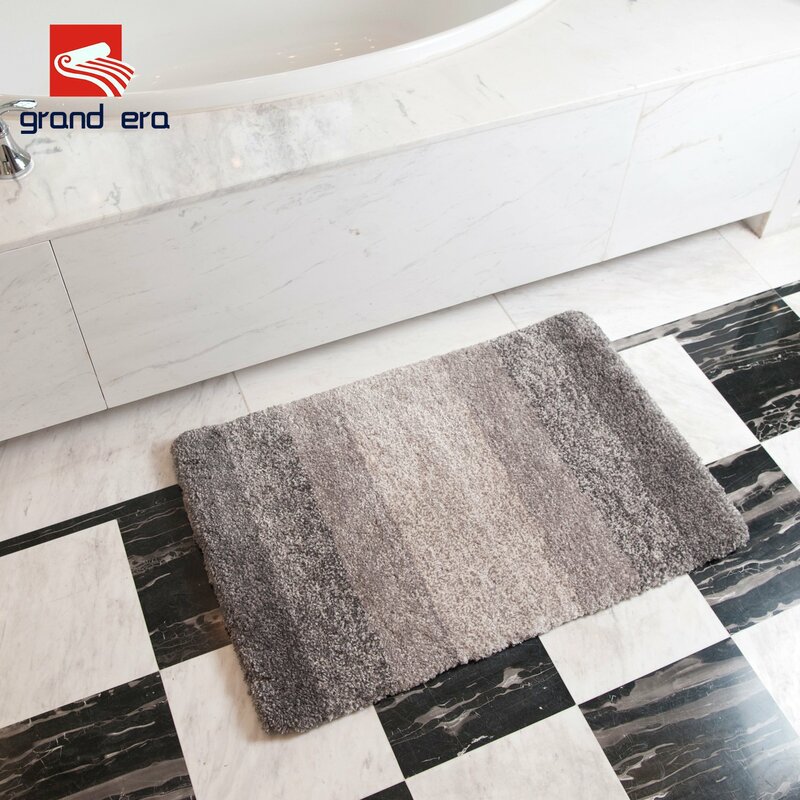 Absolutely love this bathroom rug! 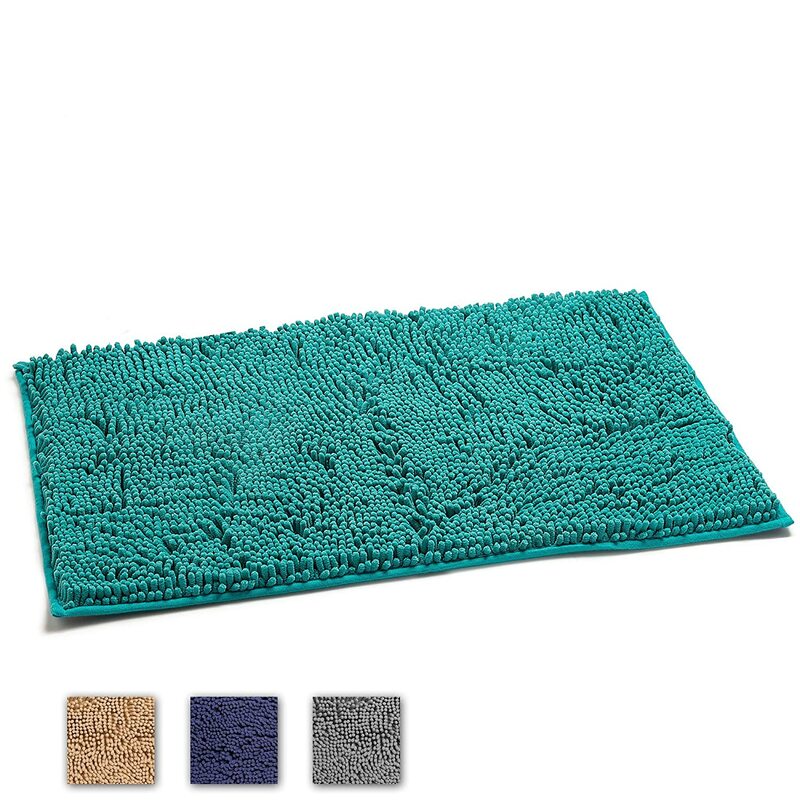 It is so soft and fluffy; it dries well and doesn't get stinky/moldy like rugs from target when they get wet. I highly recommend! 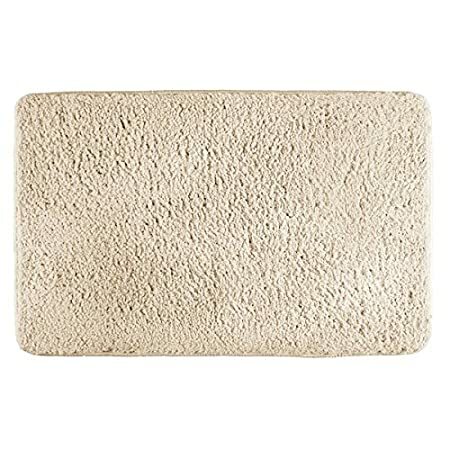 Letu2019s be honest, I really didnu2019t want to spend $26 for a rug for my daughters bathroom. 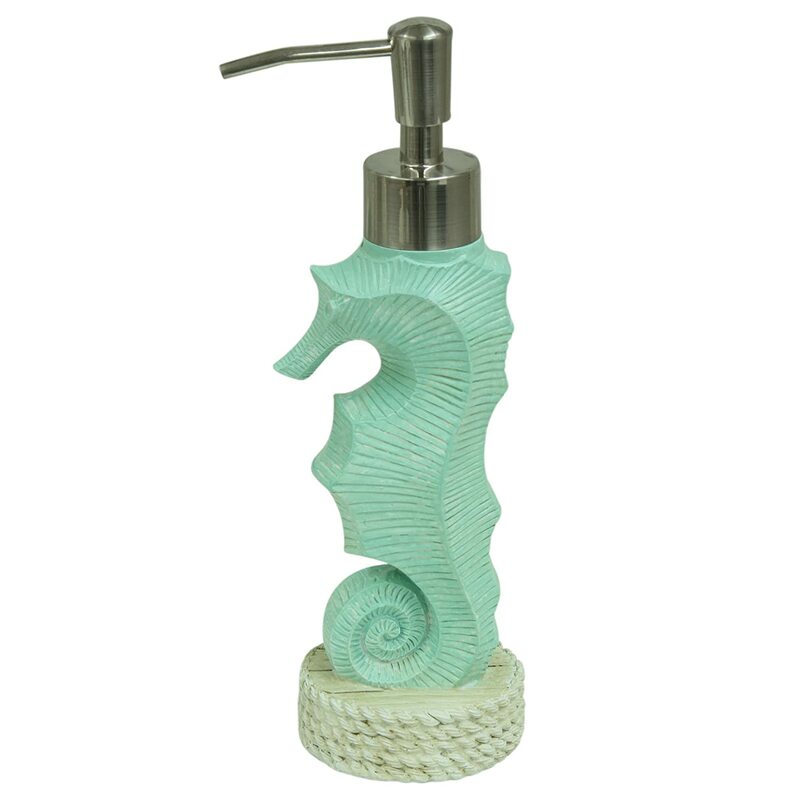 But after it arrived I was very pleased with the size and quality and it was a perfect match for her mermaid themed bathroom! Worth the money? Possibly. A heck of a lot better than what you can find at Walmart for sure! Ordered 2 more after I got the first one. 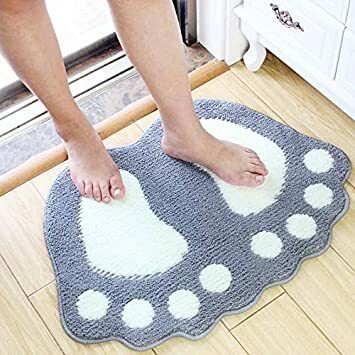 Amazing feel underfoot. Not sure yet how they will wash. 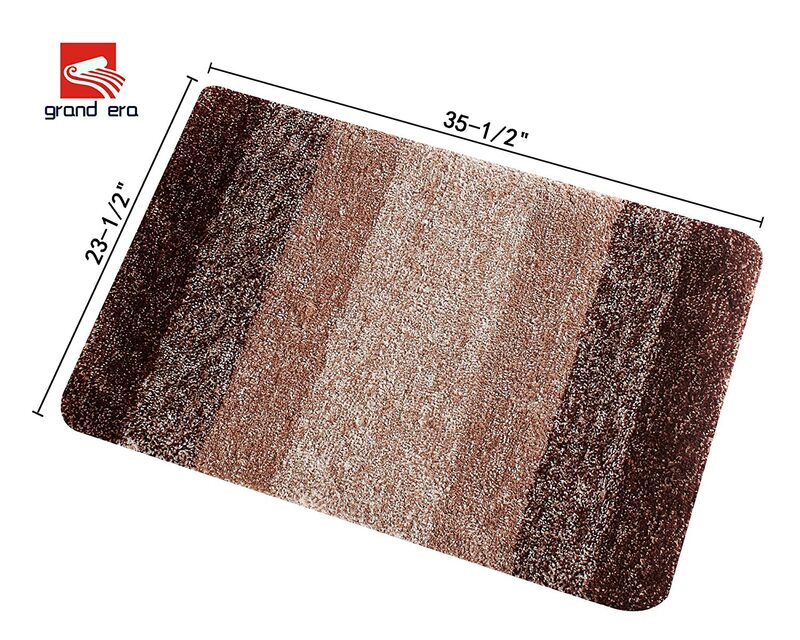 I was not happy with the quality of this rug. 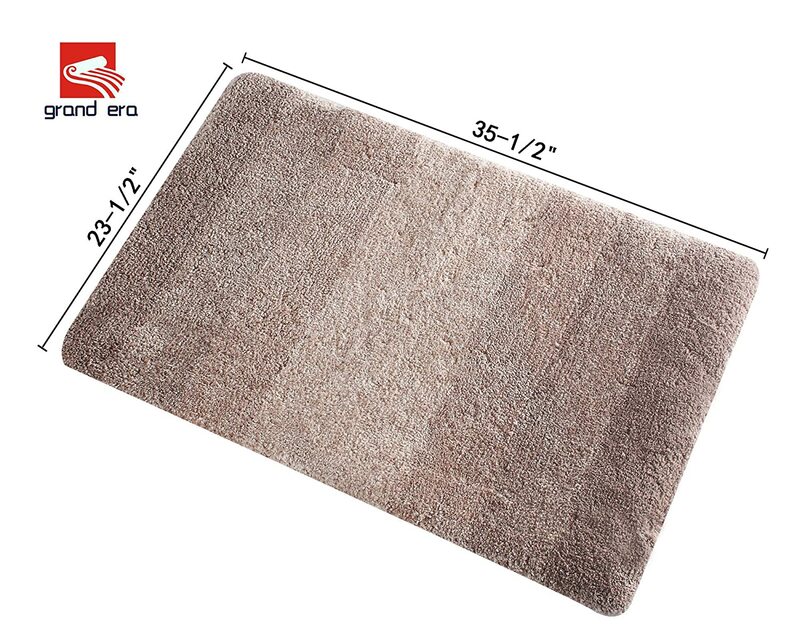 It was a little thin and did not quite look like the picture. The transition from dark to light was not very good. It was almost the same color all over. 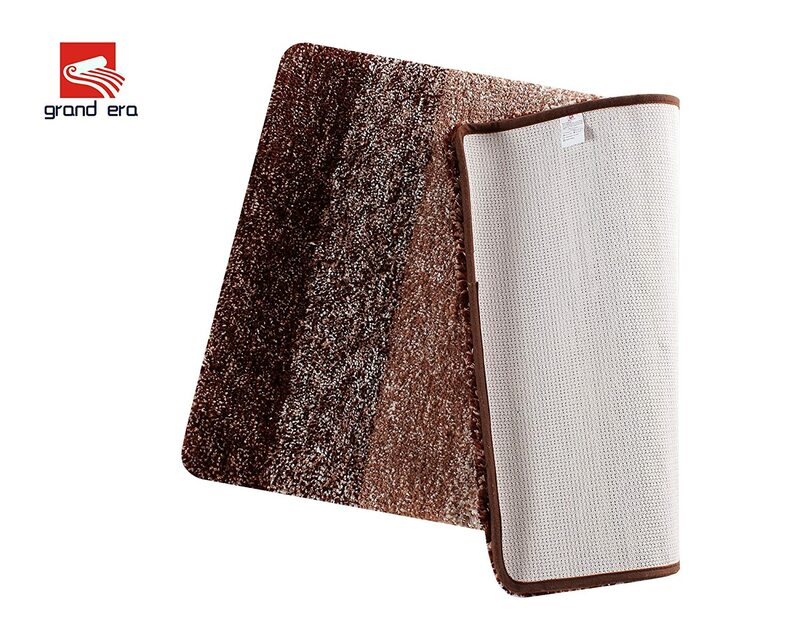 Really great mat with excellent cushion. 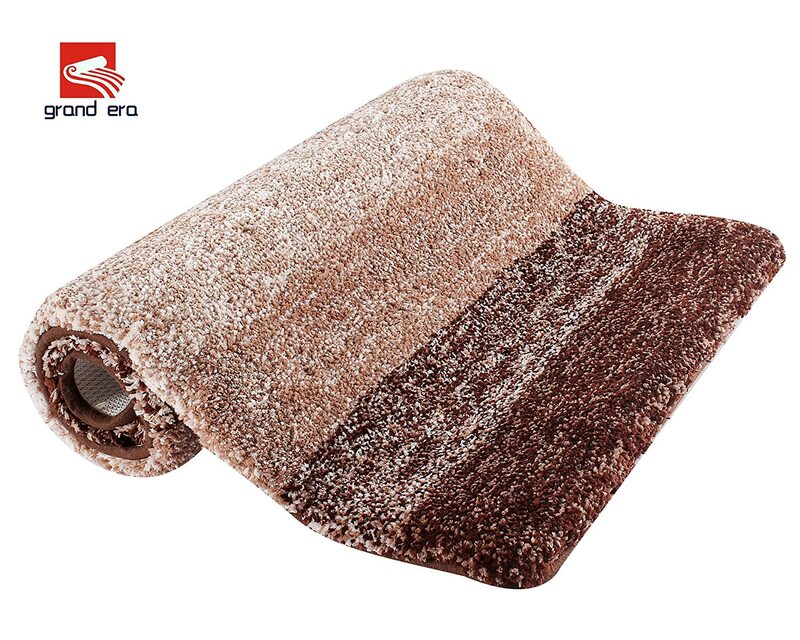 We use it at the kitchen sink and sometimes crumbs stick in it with the longer carpet fibers. 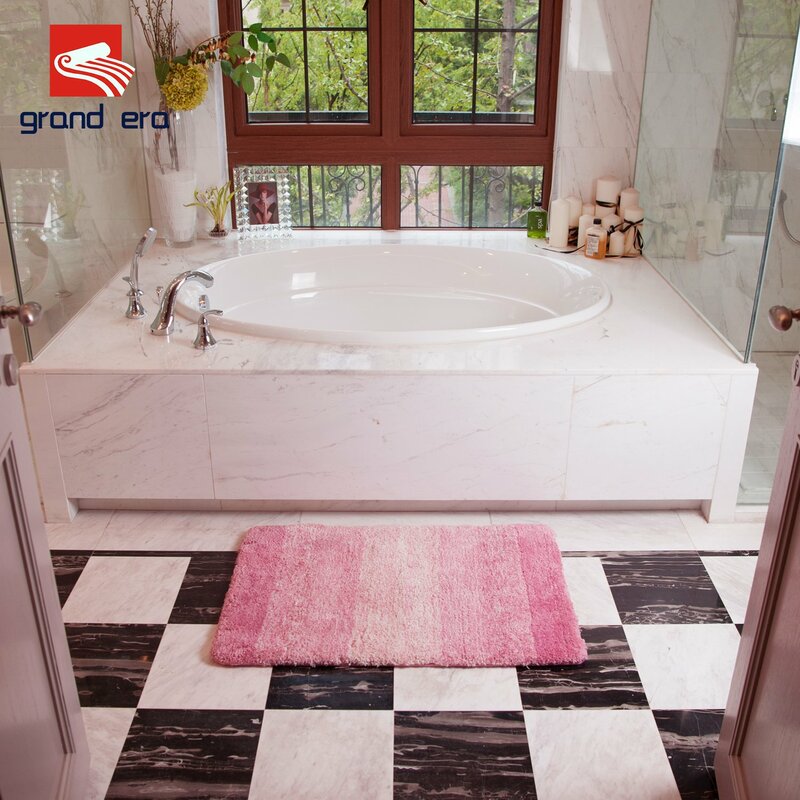 Would be great for a bathroom! !